This presentation will discuss the concepts, achievements, and opportunities of data fusion for In-Process Quality Improvement (IPQI) in complex manufacturing systems. As opposed to traditional quality control concepts that emphasize process change detection, acceptance sampling, and off-line designed experiments, IPQI focuses on the integration of engineering domain knowledge with the in-process sensing data to achieve process monitoring, diagnosis, and control. The implementation of IPQI leads to root cause diagnosis (rather than change detection), automatic compensation (rather than off-line adjustment), and defect prevention (rather than defect inspection). The methodologies of IPQI have been developed and implemented in various manufacturing processes. Two topics, the Stream of Variation theory and the causation-based quality control, both play an essential role in enabling IPQI, will be discussed with details. The prospect for future work, especially on how to address Big Data opportunities in advanced manufacturing system, will be discussed with some examples of on-going research activities. 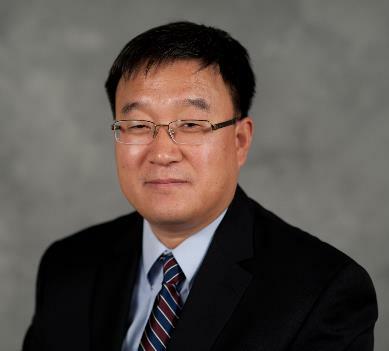 Dr. Jianjun Shi is the Carolyn J. Stewart Chair and Professor in the School of Industrial and Systems Engineering, Georgia Institute of Technology. Prior to joining Georgia Tech in 2008, he was the G. Lawton and Louise G. Johnson Chaired Professor of Engineering, and Professor of the Departments of Industrial and Operations Engineering and of Mechanical Engineering at the University of Michigan. He received his B.S. and M.S. in Electrical Engineering at Beijing Institute of Technology in 1984 and 1987, and his Ph.D. in Mechanical Engineering at the University of Michigan in 1992. His research interests focus on system informatics and control for the design and operational improvements of manufacturing and service systems. He is one of the early pioneers in the field. He has produced 26 Ph.D. graduates (18 of them have joined academia as faculty members, 7 received NSF CAREER Awards, and one received the PECASE award, 3 serve as executive/directors in industrial companies). He has published one book and more than 150 papers, and collectively received 5000+ citations. He has worked closely with industrial companies and has served as PI and co-PI for more than $19 million of research grants. The technologies developed in his research group have been implemented in various production systems with significant economic impacts. He is the founding chairperson of the Quality, Statistics and Reliability (QSR) Subdivision at the Institute for Operations Research and Management Science (INFORMS). He is currently serving as the Focus Issue Editor of IIE Transactions on Quality and Reliability Engineering; Associate Editor, ASME Transactions, Journal of Manufacturing Science and Engineering; Editor, Journal of Systems Science and Complexity;and Senior Editor of Chinese Journal of Institute of Industrial Engineering. He is a Fellow of the Institute of Industrial Engineering (IIE), a Fellow of American Society of Mechanical Engineering (ASME), a Fellow of Institute of Operations Research and the Management Science (INFORMS), an Academician of the International Academy for Quality, Elected Member of the International Statistical Institute (ISI), and also a life member of American Statistics Association (ASA).